Based on the continuum of literacy framework, targeted instruction is the current gold standard in literacy programs. What is targeted instruction? 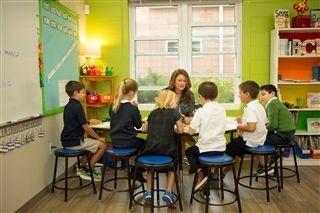 It’s not quite individualized curriculum; it’s closer to a tailored curriculum. It begins with collecting information, also called a ‘body of evidence,’ to determine what students know and what they need to know next. Tools such as benchmark assessments, running records, authentic tasks, teacher observations, student work samples, and, in some cases, standardized tests allow for the creation of a ‘literacy profile.’ From there, educators tailor curricular decisions by student, organize groupings, plan strategies for teaching reading and writing, discern how to appropriately-level resources, and create productive learning activities. 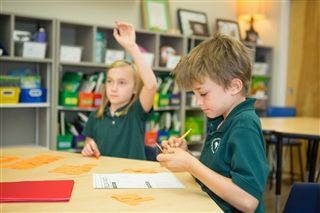 Targeted instruction is then implemented through ‘literacy blocks.’ Literacy blocks are 90-minute periods of uninterrupted literacy instruction in reading and writing. Studies show they are the best way to maximize instruction and make sufficient progress. 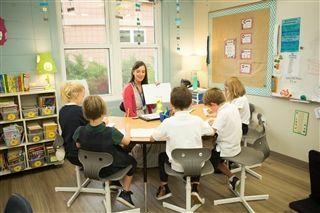 (FCRR) Boulder Country Day School students in Kindergarten - 2nd grade begin every morning with a ninety-minute literacy block called The Daily 5. 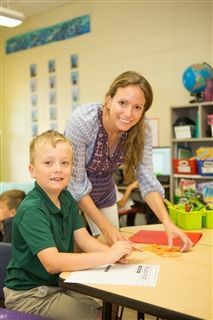 (Boushey and Moser) Students select from five purposeful reading and writing choices and work independently toward personalized goals while the teacher meets individual needs through whole group, small group, and one on one instruction. BCD’s Learning Specialist Team of literacy experts also ‘floods’ the classroom to further reduce the teacher/student ratio. The early literary advantage created by the Daily 5 is among many benefits we are able to offer at BCD. Come learn more by visiting or attending an Open House. More on BCD's Elementary program.